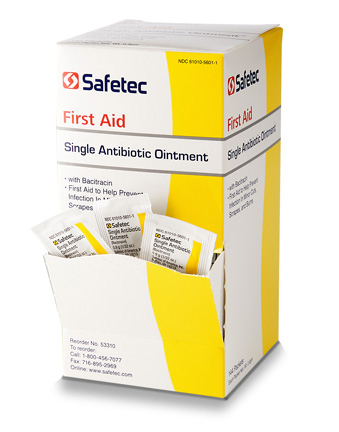 Prevent infection and the spread of harmful bacteria with Single Antibiotic Ointment with Bacitracin. Simply apply on minor cuts, burns and scrapes. Our convenient single-use packages make it easy for fast application and instant relief. 144 foil packs per box. Made in the USA.